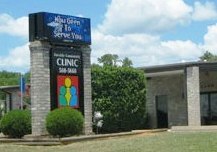 East Texas Community Health Services, Inc. serves Nacogdoches and the surrounding counties, providing primary care for medical and dental services. In addition to primary care, ETCHSI also provides management of chronic illnesses such as asthma, diabetes and high blood pressure, immunizations for children and adults, family planning, dental services, on-site limited pharmacy, diabetes education, lab tests, mental health counseling, preventative health and screening tests, and a referral department. The ETCHSI Board/Nationally Certified physicians, PAs and NPs plus Dentists and Dental Hygienists, along with experienced support staff, provide high-quality services to community members of all ages, from babies to teens and adults to seniors. ETCHSI professionals participate in nation-wide programs to reduce the impact of chronic diseases. This program helps provide the best diabetes care available and teaches people to take control of their chronic diseases, rather than allowing the diseases to control them. Pre-scheduled appointments are appreciated. ETCHSI always offers a limited number of same-day appointments. For same-day appointments, call 936/560-5668 x1100.